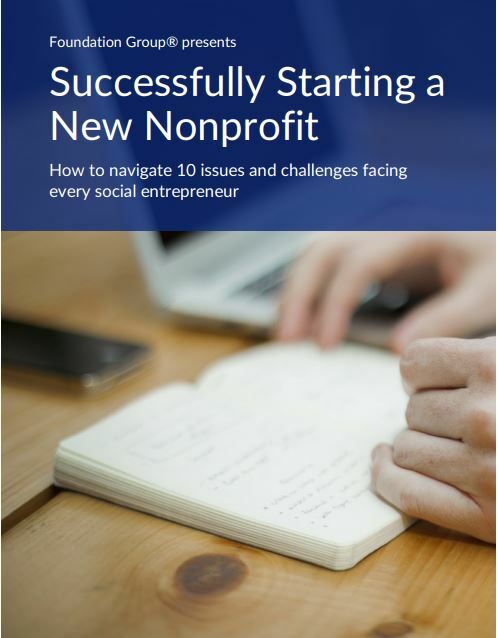 The Charleston Principles were drafted and published by The National Association of State Charity Officials (NASCO) for the purpose of helping states develop a more standardized approach to regulating internet-based fundraising and solicitation. These principles are nonbinding, but they serve as a guide for the way most states interpret such solicitation. 7. Therefore, state charity officials discussed the formation of these Principles while gathered at the National Association of Attorneys General/National Association of State Charity Officials (‘NAAG/NASCO’) Conference in Charleston, South Carolina in October 1999. During the public portion of that conference, which was devoted to the subject of Internet solicitations, state charity officials began a dialogue with invited guests on this topic. A. These Principles are offered as a guide to states as to when charities, and their fundraisers, fundraising counsel and commercial co-venturers may be required to register, or may be subject to enforcement action, and in what jurisdictions, with regard to charitable solicitations via the Internet. States are encouraged to use these Principles to develop common policies to implement their specific state laws, but these Principles are not necessarily the views of any particular individual, office, or state, nor do they state an official policy position of NASCO. These Principles recognize that the laws of individual states vary, and that implementation of these Principles may also vary. B. These Principles are necessarily dynamic, and may change as laws, technology and business models change. Further discussions among states and between states and the regulated community are desirable. C. The Internet can be a valuable and efficient forum for conducting charitable solicitations. State charity officials do not desire to discourage or limit its use. D. The basic premise of these Principles is this: Although existing state laws govern charitable solicitations on the Internet, in many instances the use of the Internet raises new questions that state charity officials must answer in order to effectively carry out their statutory missions. Therefore, state charity officials should require registration of those over whom their state courts could constitutionally assert personal jurisdiction to enforce a registration requirement. State charity officials and those who solicit contributions using the Internet should note that in actions to enforce state laws against deceptive charitable solicitations, including fraud and misuse of charitable funds, jurisdiction typically exists over some organizations not required to register in the state. E. Nothing in these Principles is intended to limit jurisdiction available under common law. The traditional jurisprudence analysis for jurisdiction is the appropriate rule with which states need to comply. States will enforce the law against any entity whose Internet solicitations mislead or defraud persons physically located within a particular state, without regard to whether that entity is domiciled in the state or is required to register in that state pursuant to these Principles. 1. An entity that is domiciled within a state and uses the Internet to conduct charitable solicitations in that state must register in that state. This is true without regard to whether the Internet solicitation methods it uses are passive or interactive, maintained by itself or another entity with which it contracts, or whether it conducts solicitations in any other manner. 2. An entity is domiciled within a particular state if its principal place of business is in that state. (2) The entity satisfies Principle III(B)(1)(b)(2). a. An interactive Web site is a Web site that permits a contributor to make a contribution, or purchase a product in connection with a charitable solicitation, by electronically completing the transaction, such as by submitting credit card information or authorizing an electronic funds transfer. Interactive sites include sites through which a donor may complete a transaction online through any online mechanism processing a financial transaction even if completion requires the use of linked or redirected sites. A Web site is interactive if it has this capacity, regardless of whether donors actually use it. b. To specifically target persons physically located in the state for solicitation means to either (i) include on its Web site an express or implied reference to soliciting contributions from that state; or (ii) to otherwise affirmatively appeal to residents of the state, such as by advertising or sending messages to persons located in the state (electronically or otherwise) when the entity knows or reasonably should know the recipient is physically located in the state. Charities operating on a purely local basis, or within a limited geographic area, do not target states outside their operating area, if their Web site makes clear in context that their fundraising focus is limited to that area even if they receive contributions from outside that area on less than a repeated and ongoing basis or on a substantial basis. c. To receive contributions from the state on a repeated and ongoing basis or a substantial basis means receiving contributions within the entity’s fiscal year, or relevant portion of a fiscal year, that are of sufficient volume to establish the regular or significant (as opposed to rare, isolated, or insubstantial) nature of those contributions. States should set, and communicate to the regulated entities, numerical levels at which it will regard this criterion as satisfied. Such numerical levels should define ‘repeated and ongoing’ in terms of a number of contributors and ‘substantial’ in terms of a total dollar amount of contributions or percentage of total contributions received by or on behalf of the charity. Meeting any threshold would give rise to a registration requirement but would not limit an enforcement action for deceptive solicitations. For example, a state might explain that an entity receives contributions on a repeated and ongoing basis if it receives at least one hundred online contributions at any time in a year and that it receives substantial contributions if it receives $25,000, or a stated percentage of its total contributions, in online contributions in a year. 3. An entity that solicits via e-mail into a particular state shall be treated the same as one that solicits via telephone or direct mail, if the soliciting party knew or reasonably should have known that the recipient was a resident of or was physically located in that state. c. For purposes of this Principle, a charity satisfies the interactivity criterion of Principle III(B)(1)(b)(i) if (i) any Web site through which contributions are solicited or received for that charity satisfies that requirement, and (ii) that Web site is operated by an entity with whom the charity contracts. This paragraph does not define the concept of interactivity, but merely addresses the application of that concept in this specific context. 5. Solicitations for the sale of a product or service that include a representation that some portion of the price shall be devoted to a charitable organization or charitable purpose (often referred to as ‘commercial coventuring’ or ’cause marketing’) shall be governed by the same standards as otherwise set out in these Principles governing charitable solicitations. 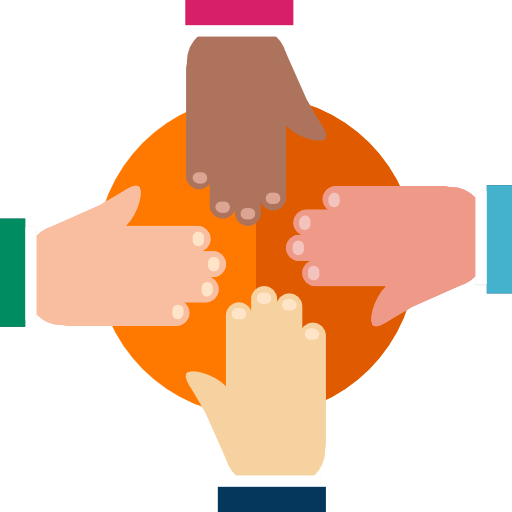 Registration is therefore required in those states that require registration for such activities, by charitable organizations and their internal fundraisers, their external commercial fundraisers as applicable. 1. Maintaining or operating a Web site that does not contain a solicitation of contributions but merely provides program services via the Internet — such as through a public information Web site — does not, by itself, invoke a registration requirement. This is true even if unsolicited donations are received. 2. Entities that provide solely administrative, supportive or technical services to charities without providing substantive content, or advice concerning substantive content, are not required to register. Such service providers (a) include Internet service providers and entities that do nothing more than process online transactions for a separate firm that operates a Web site or provide similar services, but (b) do not include commercial fundraisers, commercial co-venturers, or fundraising counsel. Administrative, supportive, or technical service providers may be required to register if they do more than simply provide such technical services and actually solicit, promote a Web site or engage in other conduct that requires registration. Compensation for services based on the amount of funds raised may be a strong indication the entity is doing more than simply providing technical services. A. State charity officials recognize that the burden of compliance by charitable organizations and their agents, professional fundraisers, commercial co-venturers and/or professional fundraising counsel should be kept reasonable in relation to the benefits to the public achieved by registration. 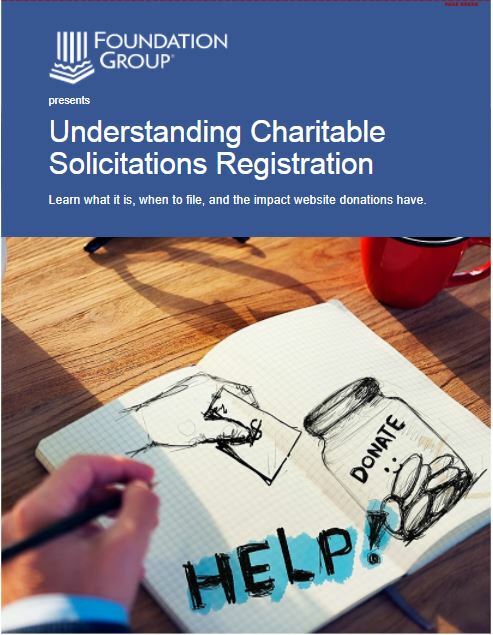 The acceptance and use of the Unified Registration Statement for charitable organizations by state charity offices and the development and acceptance of other related projects to create such common forms are strongly encouraged. B. State charity officials recognize the power of the Internet to assist in the registration of charitable organizations and their agents. State charity offices are strongly encouraged to publish their registration and reporting forms, their laws and regulations and other related information on the Internet to facilitate registration and reporting by charitable organizations and their agents while assuring proper public accountability by regulated entities. C. State charity officials, charitable organizations and their agents, professional fundraisers, commercial co-venturers and/or professional fundraising counsel have a mutual interest in exploring how to develop the information technology infrastructure so that registration and reporting can be accomplished electronically in the future. Collaboration on this project between state charity officials and these entities, where appropriate, will advance the timeframe for establishing electronic filing. This collaboration may include discussion of the types of information that entities soliciting through the Internet should be required to retain, so that these Principles can be applied to a particular Web site. This would include information sufficient to determine, within the scope of the law and relevant donor privacy concerns, whether an entity’s ties to a particular state are sufficient to give rise to a registration requirement. D. Because disclosure to the public promotes informed giving, charitable organizations are encouraged to satisfy the IRS ‘widely available’ standard by posting, without charge, their current Unified Registration Statement, their last three IRS Forms 990, and their complete IRS Form 1023 or 1024 application and resulting determination letter on their Web pages. Links to other sites that provide such information, including any relevant state agency, or other Web sites, are also encouraged. Such postings, however, do not currently fulfill any applicable registration requirements.